Hi everyone! Long time, no see! I'm not sure if anyone still subscribes to this blog after almost three years, but I'm going to take a chance and put this out there. If you enjoyed reading my thoughts and experiences with motherhood here, then I think you'll love my new project! I've co-created a podcast with two friends called Midlife Matters. We're going to be focusing on parenting teens and young adults, as well as discussing all the topics that keep women in the middle years up at night! We'd love to have you join us! 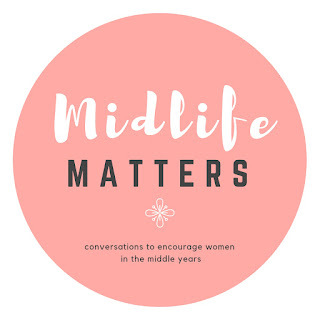 You can listen to Midlife Matters on Apple Podcasts, or anywhere you like to get your podcasts! 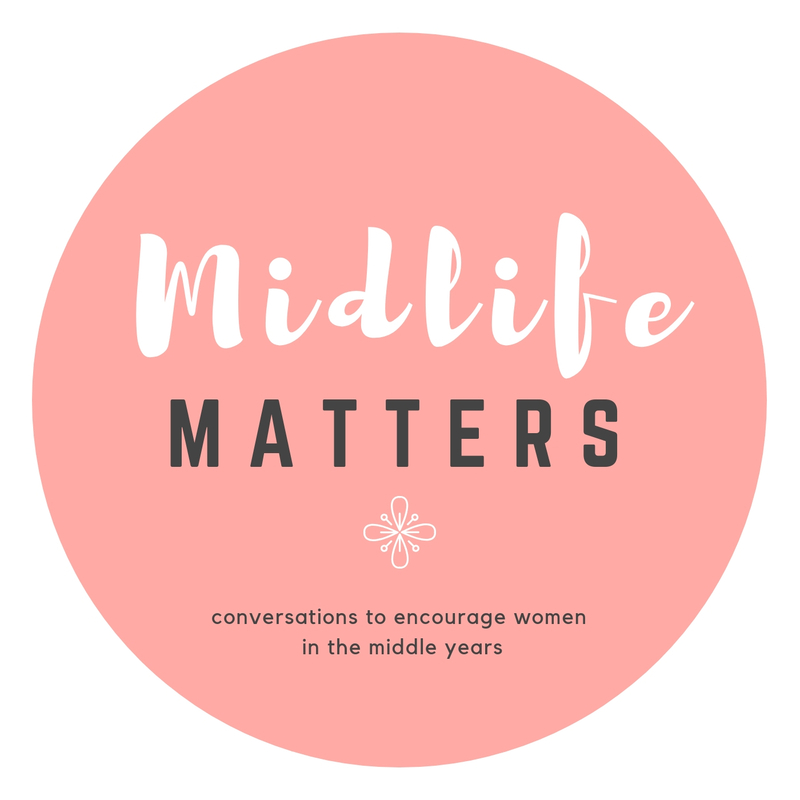 You can also listen to each episode right on our website, Midlife Matters Podcast. Today I have a 20 year old. Wow! Crazy to type that. It does not feel like 20 years since we were first sleep deprived, confused, desperately wondering how in the world we were ever going to do this new parents. She's the oldest. That means she's the child we've expected the most of and made the most mistakes with, analyzing and microscoping every detail of her life. Each new stage had a big learning curve and we were forever second guessing our parenting decisions. Turning twenty means we officially survived her teenage years! Please let's take a moment to fully appreciate this. The rolled eyes, the sarcastic remarks, the up and down emotions, the sulking, the unpredictable moods, the late nights of worry, the negotiations over curfew and when and where and who. The standing our ground and holding the line even when "everyone else is doing it" is pretty much behind us...with this one! The first time I remember someone telling me that it would all go by so fast was when our daughter was just a few weeks old. At the time, I inwardly scoffed a little. Fast? I am completely overwhelmed and feel like I am doing nothing right. I can barely imagine making it through this afternoon and you're saying it all goes by so fast? But alas, she was right. The days sped up with each passing year. I watched her learn to walk and talk and then it seemed like she started kindergarten in the blink of an eye! I tried in vain to slow time down, but the elementary years made way for middle school and before I knew it, I was watching her graduate. Each new stage, skill, and experience added up and it's been a joy to see her grow into the young woman I'm so proud of today. I'm looking forward to the perks of parenting someone in their 20's. I hear these kids generally graduate from college, get jobs, and move out. I've had more than a few parents tell me it's a happy day when your child achieves this independence and is, of course, on their own car insurance! :) And then there are all the intangibles. The friendship, the laughter, the deep discussions, and all the fun you can have with your kids at this age. I count it a special privilege to be able to experience this! Twenty years. Lots of birthday cakes and candles. I love you my girl! May all your wishes come true! Springing forward into the New Year. That's the normal course of things. But this New Year's Eve, my husband and I stepped back in time, to a life we used to live, with friends who have known us right from the beginning of adulthood. We didn't know it then, but we were all in an incredibly special time of life, buying our first houses, having our first babies, working our first jobs. We learned together and supported each other. Some were a little farther down the adult path than others and they were the wise ones we looked to for advice and example. But really, twenty years later I can see we were all on those first few rungs of the ladder, each one lending a hand in the glorious climb. 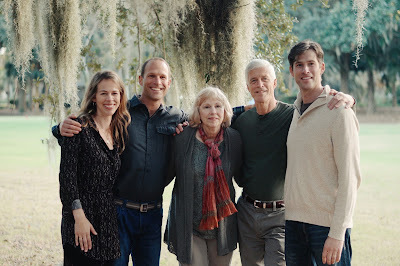 Those were the years of watching each other's kids, working on each other's houses, helping each other move, and encouraging each other just by walking the same path. Years apart can't extinguish friendships like that. We laughed at old jokes and enjoyed catching up on the big and small things that have made up life since we were together last. For a talker like me, it was awesome! We walked by and took pictures of the house we brought our oldest son home to, peeked in the backyard where we pushed our kids on swings and set up wading pools. Reminisced over the foreclosure we bought and then spent months working on. Speculated about the different ways your life can go if you choose one path over another. To anyone else they're ordinary houses and streets in an ordinary neighborhood, but for us they hold history. We're back in Nashville now. We've fast forwarded again thirteen years to a different house, different jobs, and more kids. This life is real and ours and where God has placed us. It's where we belong in 2016, but it was certainly wonderful to visit Jamestown once again! I've always been a big fan of the school bus. You get your child ready, send them out the door, and start your day. Can that system really be improved? But, like so many things in motherhood, guilt would sometimes creep up. 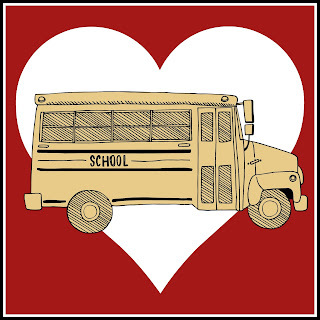 I would read an article or talk to someone that loved driving their children to school. The great conversations, the bonding, the memories they'll treasure for a lifetime, and I'd think maybe I'm missing out on something even better than the bus. So this year I decided to drive my three middle schoolers 25 minutes to school each morning. Their bus comes very early now and I wanted to see what all these people have been raving about. Let me tell you...they lied. If you have more than one child in the car, your morning conversations are much more likely to consist of mediating arguments than sharing secrets. You won't be in the mood for anything other than a nap after you've given 45 directions and repeated yourself 75 times all the while fighting your way across town in rush hour traffic. Stop bothering her. Don't talk to him. Why are you bringing that up again? You forgot your shoes?!? Where is your lunchbox? Why are we always late? Leave each other alone. Why is this car in front of me moving so slowly?!? More often than not you will arrive in the drop off lane with your blood pressure through the roof regretting EVER letting that bus pass you by. Yesterday morning, I had not turned on the van for more than five seconds before a fight broke out between my twins. One was cold after choosing to wear only a thin t-shirt and one was dressed appropriately for the weather. When the freezing child asked her sister to turn on the heat, the one with a coat said no and promptly turned on the air conditioner. This incited way too loud protesting from the one who was cold. Which led to way too loud yelling from me about why in the world I cannot even back out of the garage before there is fighting. When confronted with why she would use the air conditioner on a frosty December morning, the one with a coat decided to double down on the ridiculousness and claimed it was fine outside and maybe a little warm in here. And thus our bonding time began with a lecture and then a punishment...everyone would ride the bus the next morning! Can you relate? 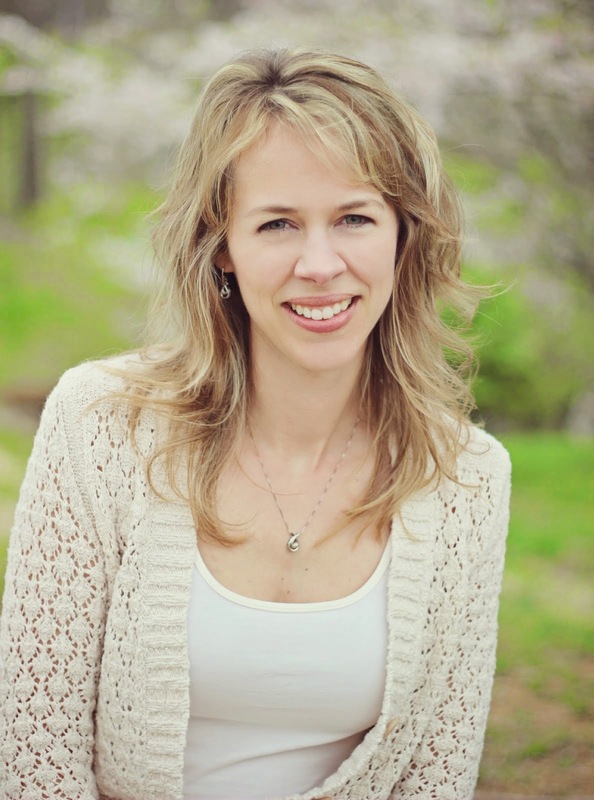 How many things have you set out to do as a mom that did not quite match your expectations? Last week, I fell into the black hole of digital photo book making. I've been working on our 2014 photo album for a couple months desperately trying to finish before the end of 2015. Then my daughter took some really pretty family pictures of everyone on our Thanksgiving trip and I thought a book of just those might be nice. That got me thinking about Christmas gifts and who else might enjoy a photo book. Once I started down that path, other ideas popped up and I had to make myself go back to our family album from last year and regroup! What happened to the days of getting some prints and putting them in an album a few times a year? Or maybe just keeping them all in a storage bin. Something simple. Now I take so many more pictures. Cell phones let us capture all the moments, but then I feel like I have to DO something with them. Apple assures me they're floating around in a cloud, but really...will they actually be there when I want to look at them? So I find myself in front of the computer for hours on end, foregoing a shower and my to-do list while my eyes bleed squinting at tiny thumbnails of pictures I saved over a year ago. Now which one of those shots was a good one? Why isn't that uploading? What? Why did I take all these pictures?!? And as always, I vow that next year I will get on this earlier than December! How about you? Are you with me in the never ending quest to get your pictures under control? 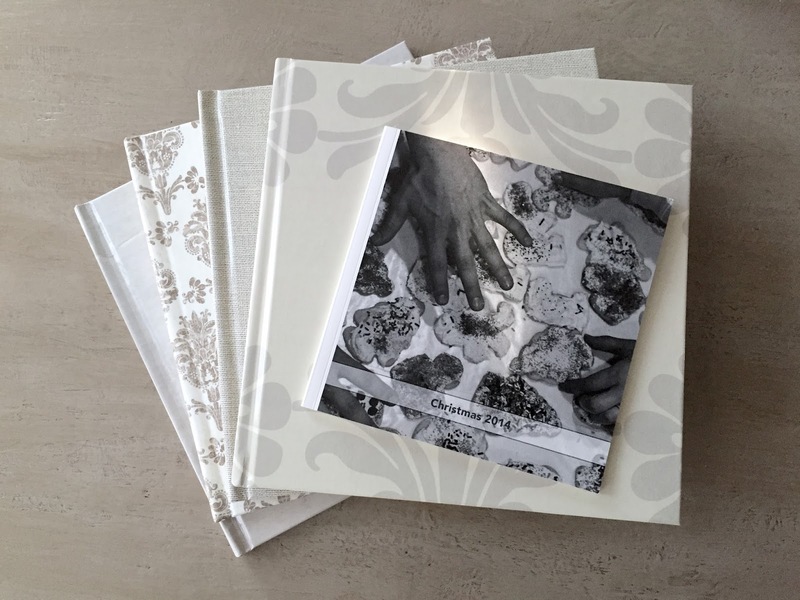 Have you ever lost waaay too much time after clicking on start your photo book now? 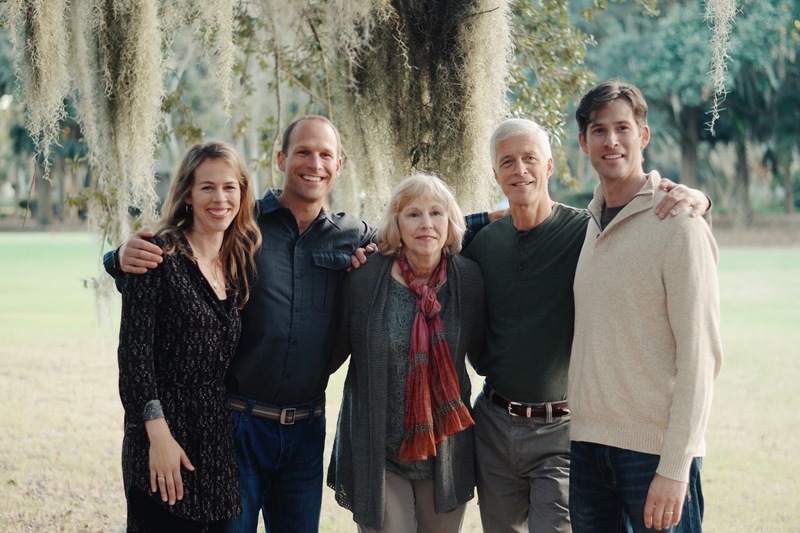 This year we decided to try something new for Thanksgiving and joined my two brothers and parents in Hilton Head. My parents hosted the meal in their condo and we all brought something to contribute. It was fun! Their rental was large enough to seat everyone comfortably and my mom managed to cook a great meal in a kitchen she'd never seen before! We missed my sister being with us though! The weather was a little too cool to enjoy the beach early in the week, but we had some great weather at the end. Riding bikes and playing tennis were on my must-do list. It was especially neat to see my dad and son dueling it out on the court! My younger kids had fun building sand castles and playing in the water with their cousins. My mom got to collect seashells with the grandchildren. We all enjoyed live music and a shrimp boil one night at The Salty Dog. It was a treat to play lots of games and spend time just hanging out. Thanksgiving at the beach was a success and I'll treasure the memories we made together! It's beginning to look a lot like Christmas at our house. Usually, I wait until the first weekend in December to put the tree up, but this week my daughter was home sick for a couple days and we started decorating early...November 17! It was fun! No pressure, just getting it all out a little at a time, watching Christmas movies and stringing popcorn for the tree. Of course my other kids came home from school confused and reminding me that we're only coming up on Thanksgiving break, not Christmas! I think they liked it though! We're waiting on ornaments until my oldest can join us, but the tree lights sure do make these dark evenings more cheery! So far I've watched four Christmas movies, listened to Christmas carols, and wrapped three presents. Scandalous. How about you? Is anyone else out there decking the halls or dreaming of a white Christmas a little early? Also...I really need some more movie recommendations. My favorite holiday comedy is Christmas with the Kranks. So funny! I've tried a few other Christmas movies on Netflix and they have not been winners. So let me know what humorous or heartwarming movies you love to see each year!